Almost everyone in Philadelphia is familiar with the walk-through papier-mâché heart that has been a centerpiece display at the Franklin Institute for over fifty years. 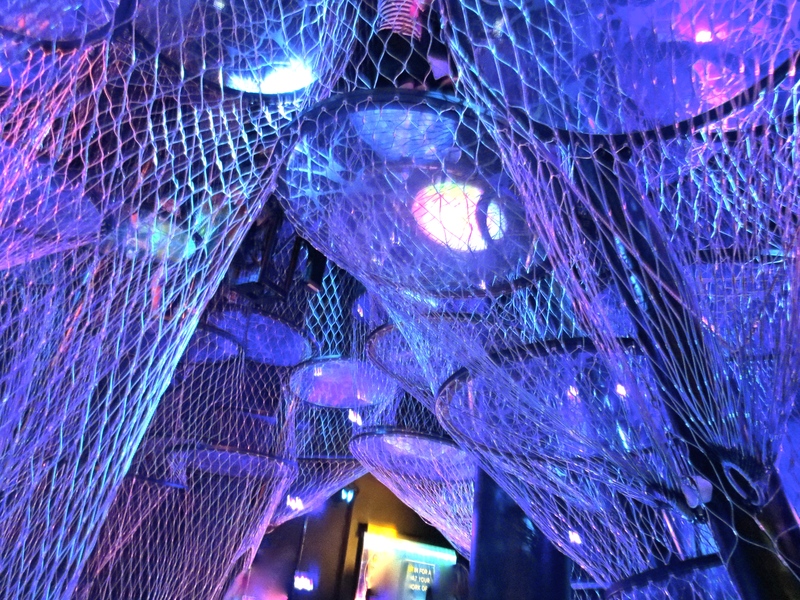 Inspired by that iconic heart, the Institute constructed the Neural Climb, an 18-foot-tall climbing structure, accompanied by sound and psychedelic lighting. 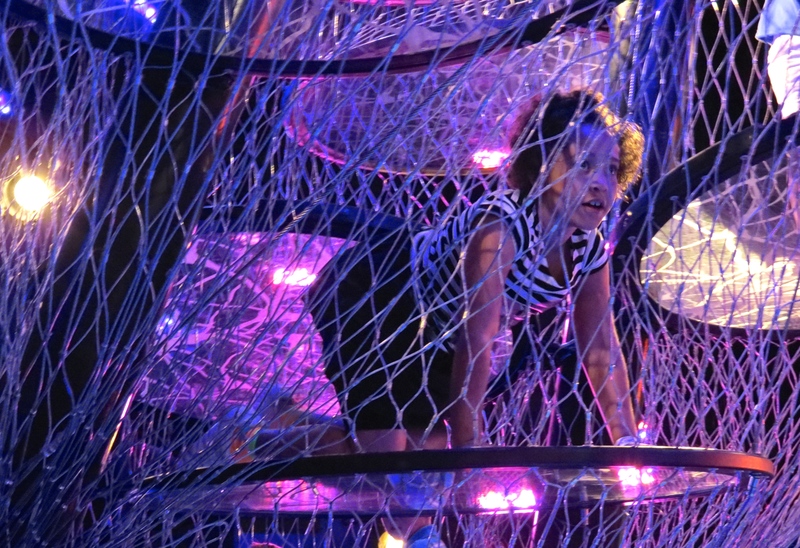 The exhibit creates for children an opportunity to explore a web of interconnecting tubes, helping them to understanding the neuron signaling of our brain. We are born with about 100 billion neurons, already with 50 trillion connections! In the first few months of life, synapses multiply, and by three years old, the toddler has made about 1,000 trillion connections. Understanding these large numbers is probably more than we can comprehend, but like the child in the neural climb, we know our brains are amazing connectors. Wow! I did not know about this exhibit. I really need to try to get down there and see it. Too bad I live in Atlanta! Thanks for drawing attention to it! Hi Gary, Institute has quite a few new exhibits . . .awesome planetarium shows, too. Oh my goodness… This post connects me to memories!!! My dad took my sister and me to the Franklin Institute regularly when we were kids. I recall being petrified of the heart…at first… Then it became a favorite exhibit. Can you believe I still can recall the smell inside it!? ❤ great post.